What makes a birthday party so special? 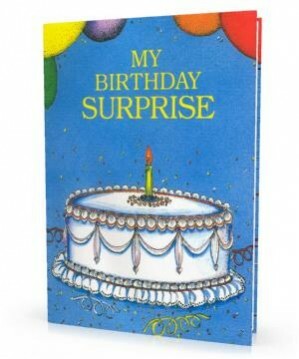 Is it the balloons, cake, ice cream, gifts, games, clowns or countless other fun things? In this story, your child finds birthday gifts behind ten magical doors. However, once your child finds a surprise party with friends and family behind the final door then he/she learns a valuable lesson: surrounding yourself with family and friends is the best part of a birthday party!